Writing in the journal Animal Conservation, researchers have called for scientists to consider how food efficiency measures may affect animal populations that rely on landfill and other food waste to survive. The warning comes as developed countries introduce new measures aimed at reducing food waste, such as sending expired food to charities instead of landfill. “Scientists working on the biology of animal species (particularly those involved in research on conservation) would do well to make predictions, and test hypotheses, about how the food waste agenda is likely to impact the biodiversity of the planet,” the authors wrote in their paper. Lead author of the paper, Iain Gordon, a professor of terrestrial ecology and James Cook University’s Deputy Vice Chancellor, Tropical Environments and Societies, said humans waste about 40% of the food we grow. For example, birds that eat grain spilled in the harvest during stopovers along their migration routes could go hungry if farmers use more efficient machinery to reduce crop losses. “Seagull populations have risen in the northern hemisphere because often they are associated with landfill. With the reduction to the amount of by catch and food waste going into landfill, seagull levels are declining,” he said. Bald eagles are also highly reliant on food from landfill in the US, he said. 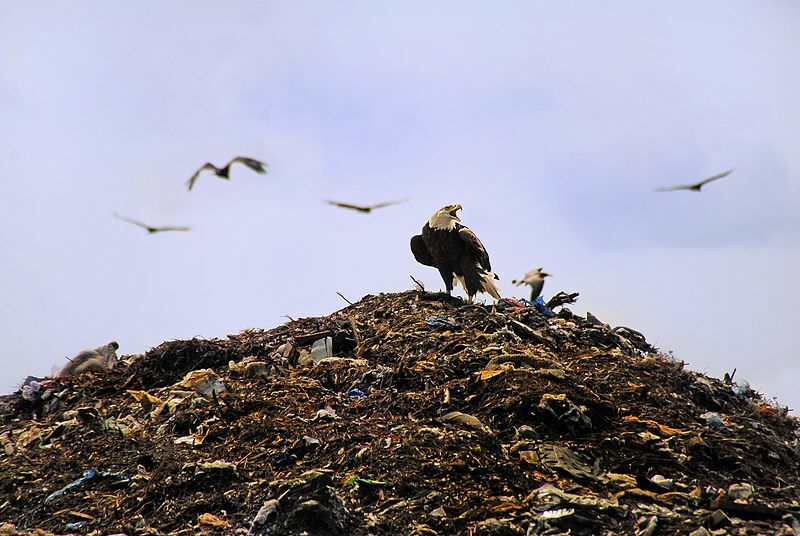 If humans created less landfill, the bald eagles may eat other animals instead. Bald Eagle at Tomoka Landfill in Florida. Credit: Wikimedia / Andrea Westmoreland. In Europe, the authors of the paper noted, legislation in the wake of mad cow disease forced farmers to bury or burn dead animals that would normally be left lying in fields. “This led to a reduction in vulture populations to the degree that a number of species are now at risk of extinction,” the researchers wrote. 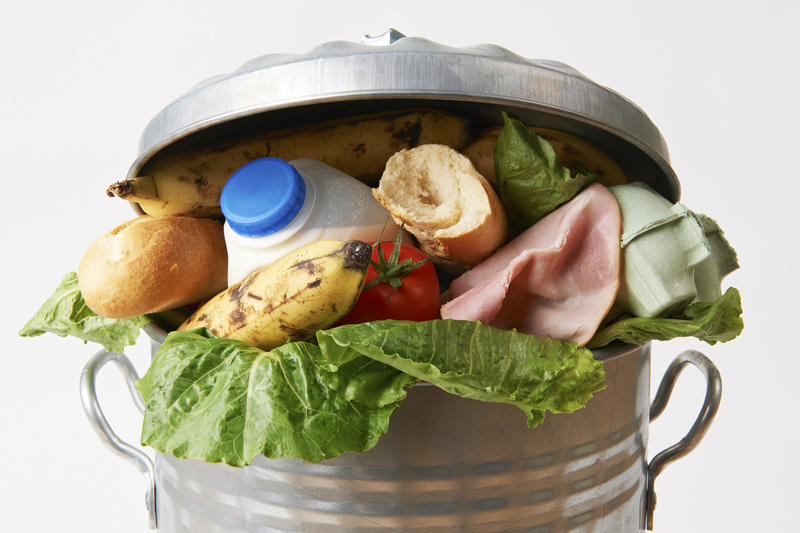 Martine Maron, Associate Professor of Environmental Management at the University of Queensland said the paper raised interesting questions but that humans needed to work harder to reduce their food waste. “It’s a no brainer. Reducing food waste reduces the amount of food we have to produce and producing food creates a lot of problems for our wildlife,” said Professor Maron, who was not involved in the study. “We just need to make sure we aren’t having any unintended consequences. And if we are, that we can come up with solutions to help any species that might suffer as a result,” she said.